Karlheinz Schreiber, a key figure in a political party financing scandal involving former prime minister Brian Mulroney and former German chancellor Helmut Kohl, arrived in Germany on Monday and has been jailed after losing a decade-long extradition battle in Canada. Karlheinz Schreiber is seen inside a car at the entrance of the prison in Augsburg, Germany on Monday. ((Uwe LeinAssociated Press))Karlheinz Schreiber, a key figure in a political party financing scandal involving former prime minister Brian Mulroney and former German chancellor Helmut Kohl, arrived in Germany on Monday and has been jailed after losing a decade-long extradition battle in Canada. The 75-year-old former arms-industry lobbyist landed in Munich around 9:30 a.m. local time, and was taken to a jail in nearby Augsburg, where prosecutors accuse him of bribery and tax evasion. At a news conference Monday, chief prosecutor Reinhard Nemetz said Schreiber will appear in court on Tuesday to have the arrest warrant against him read, and then a judge will decide whether to keep him in custody pending formal charges. Nemetz said it had taken "too long, too long" to bring Schreiber back from Canada. When asked why he thought it had been such a protracted process, Nemetz replied, "Ask your Canadian officials please." Reinhard Nemetz, chief prosecutor of a court in Augsburg, Germany, gestures during a Monday news conference about the extradition of Karlheinz Schreiber. ((Michael Dalder/Reuters))About 60 reporters attended the news conference in Augsburg, and the Schreiber saga is big news all over Germany, said the CBC's Harvey Cashore, who was there and has been covering the story for several years. "It is leading the [hourly news]. It is on the front page of the Augsburg paper here — two huge stories. You can't be in Germany and not know about the Schreiber story," said Cashore. Schreiber, a dual German and Canadian citizen, was arrested in Canada in 1999 under a German warrant. He maintains the charges against him and his extradition from Canada are politically driven. 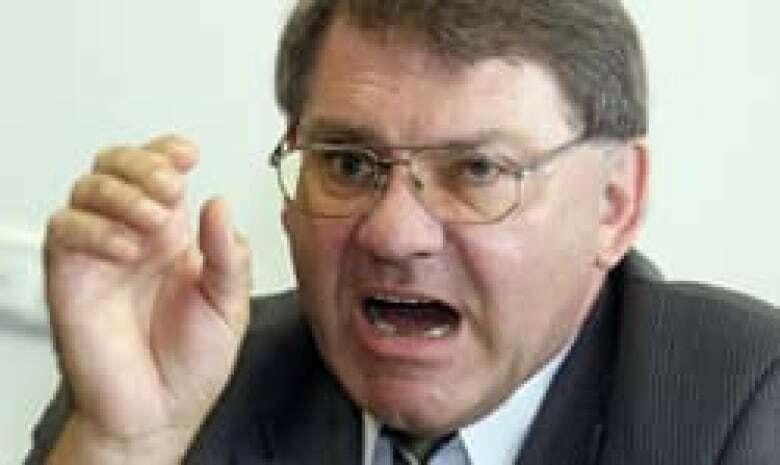 Allegations that Schreiber gave a cash donation in 1991 to the former treasurer of Kohl's Christian Democratic Union party, Walther Leisler Kiep, triggered a scandal that only deepened with Kohl's 1999 admission that he had personally accepted illegal donations from supporters. Kohl was Germany's chancellor from 1982 to 1998. Most recently, Schreiber was allowed to stay in Canada to testify before the Oliphant inquiry, saying he gave Mulroney $300,000 in cash to get a light-armoured vehicle plant set up in Canada. That inquiry wrapped up last week, kick-starting the extradition process. Canada's Justice Department served him papers late Friday afternoon giving him 48 hours to turn himself in to be extradited to Germany. He tried one last time to fight extradition, but that attempt was quashed. The federal justice minister said Schreiber has had every reasonable opportunity over the last several years to challenge his extradition. Now that Schreiber is back in Germany, one of two things will happen — he will go on trial and either be convicted or acquitted, his Canadian lawyer, Edward Greenspan, told CBC in an interview Monday. "If he's acquitted, he will come back to Canada because he has been a Canadian citizen for over 30 years and this is his country as much as any other…. If he's convicted and given a sentence in Germany, he will seek to spend that time in jail in Canada." According to Greenspan, others in Germany have been tried on similar charges and acquitted. "We were unable to get the German government to reconsider dropping some of the charges in Germany, but now that he's back, they're going to have to take a hard look at what they're going to proceed with…. I think you'll see an indictment that will have less charges than it presently has," he said. "There's a lot of people out to get" Schreiber, said Greenspan, but neither he nor his client believes in giving up. "There is a fight to be had and there are governments that are doing everything in their power to make sure that he's convicted and goes to jail for a long time." 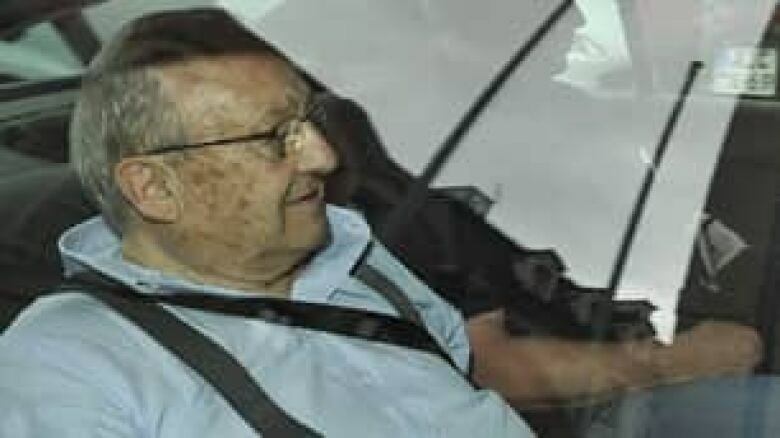 Just before Schreiber turned himself in at a Toronto jail Sunday, Greenspan had said the timing of the legal process taking place over a holiday weekend was unfair. "No minister of justice should act in that kind of an underhanded manner. It should have been sent in the normal course, but by sending it Friday at 5:10, by then everybody in the Department of Justice has gone north for the long weekend ... there was nothing I could do." Mulroney has denied any wrongdoing in his dealings with Schreiber, who alleges the Canadian leader agreed to take money from him while still in office. Mulroney acknowledges he accepted money from Schreiber in exchange for promoting a project involving a light armoured vehicle factory on behalf of Germany's Thyssen AG, but only after leaving politics.